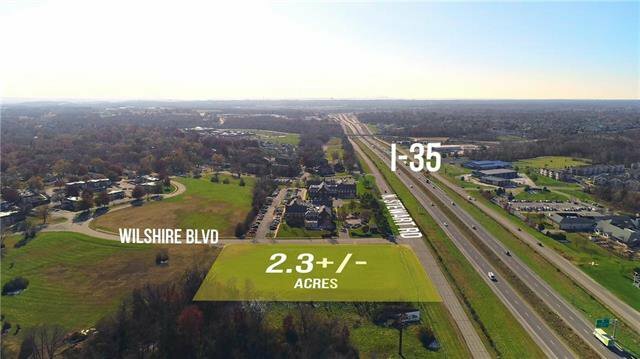 Highly visible from I-35, this 2.3+/-acres offers one of the last undeveloped commercially zoned lots along the I-35 corridor. 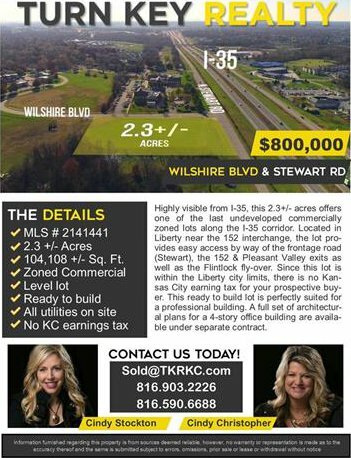 Located in Liberty (no KC earnings tax) near the 152 interchange, the lot provides access to I-35 by way of the frontage road (Stewart) and the 152 and Pleasant Valley exits. 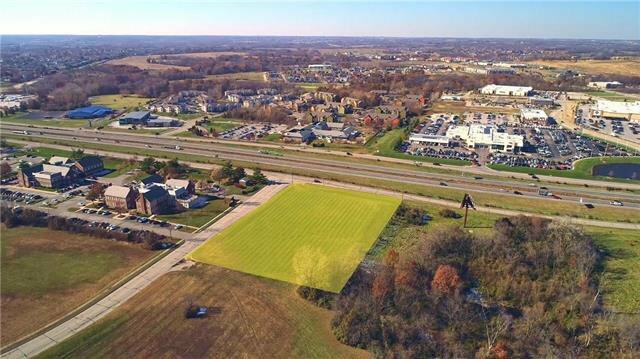 This level, ready to build lot is perfectly suited for a professional building. Seller has a set of plans for 4-story 27,000sf office building available under separate contract. Listing courtesy of Cindy Stockton of Turn Key Realty LLC.